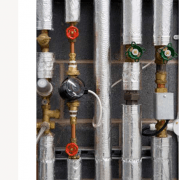 Damage to personal property as a result of a plumbing-related incident can be covered by your homeowners or renters insurance, but the repair cost of the pipeline that caused the damage is very likely not covered by the insurance. Proper maintenance of drains and other plumbing features can help prevent plumbing problems in the home. Control what happens in the plumbing drain. Cooking fat can solidify and clog drains. Keep the drain cover in place to prevent food debris, jewelry and other small objects from going down the drain and ending in the drain elbow (aptly named a drain trap) where hair and other debris cling together, causing an obstruction. Pour a cleaner or a pot of boiling water down a slow drain to deactivate it before the drain becomes completely clogged by drainage based on chemicals. Check the hoses of the washing machine. Old, cracked hoses must be replaced and loose connections must be tightened. Shut off the flow of water to outdoor spickets before winter arrives in cold weather regions. This is usually done from the basement or crawl space. Interrupting the flow of water can prevent bursting pipes caused by water in the lines that are prone to freezing. In addition, garden hoses must be disconnected from the spicket. Install the washing machine in an overflow tray to direct possible overflow to a drain. Leave the heat on when you are away from the house for a long time in the winter. You can lower the temperature but leave the kitchen doors and the vanity cabinet open so that the heat can reach the pipes to prevent freezing. 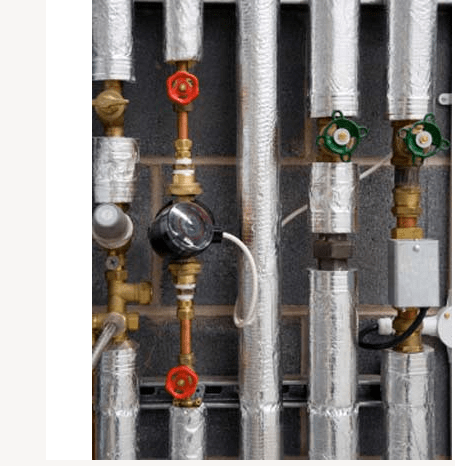 Wrap exposed pipes in the garage, crawl space or basement with pipe insulation. Not only will this help prevent pipes from bursting in cold weather, insulated pipes will reduce the energy needed to heat water for use. Place water heaters in a tray that will direct possible leaks to a drain. Only put toilet paper and bodily waste down the toilet. Do not flush diapers or feminine products in the toilet. Leaks should be investigated and repaired immediately before they become major problems. Keep the emergency overflow in the bathtub open. Do not plug the overflow to increase the amount of water that the tub will hold. Overflow may occur. Find out where the main shutoff valve of the water is from the street in casea pipe breaks, you can cut off the water. Keep a plunger useful for dealing with toilet or sink clogs. Chemical drain cleaners are dangerous. Read labels carefully. Keep out of reach of children and pets.